I was wondering where is the best place in Japan to see the Ginkgo Biloba trees. My friend says there are many in and around Tokyo. It would be a shame to go to Japan and not see these beautiful trees!! This road is located in Tokyo, between the Gaienmae and Aoyama-Itchome stations. The best time to visit is from mid-november to early december. While this doesnt feature only Ginkgo trees, you can enjoy the view in this traditional japanese garden. 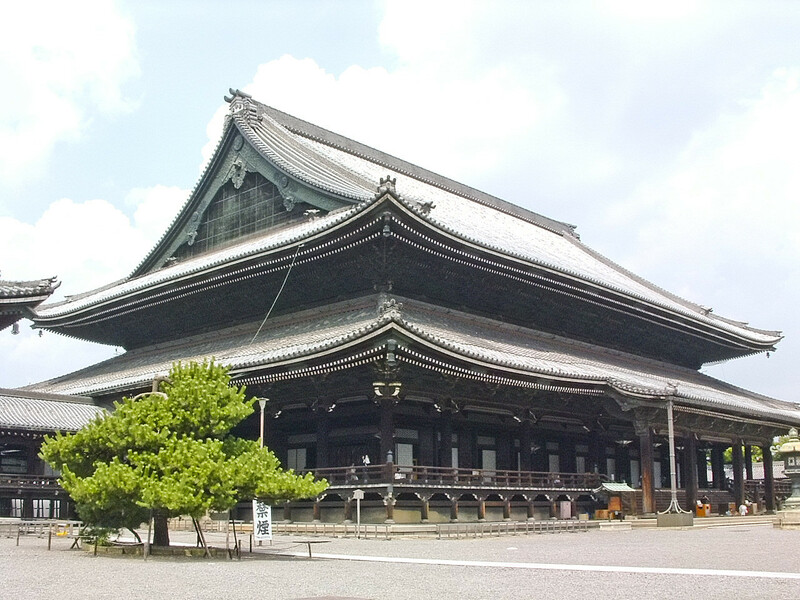 The temple grounds feature many Ginkgo trees, plus you get so visit one of the biggest temples around. The lesson here is that there aren't many dedicated spots for Ginkgo trees, but they are more or less omnipresent in Japan. Visit during the end of november and you are sure to get your fill of beautiful colors. Here is a resource page for other spots in Tokyo. And here is the same page for Kyoto. 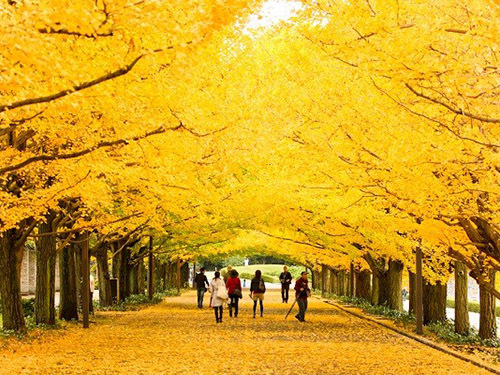 Visit Toyko's Shinjuku Gyoen National Garden to experience the ginko tunnel in the Meiji-Jingu Gaien, the golden canopy and carpet the most glorious in the autumn. You could visit the biggest Ginkgo biloba tree in Japan. It is the Kitakanegasawa no Ichou. It has a girth of about 22m, and is estimated to be over 1000 years old. 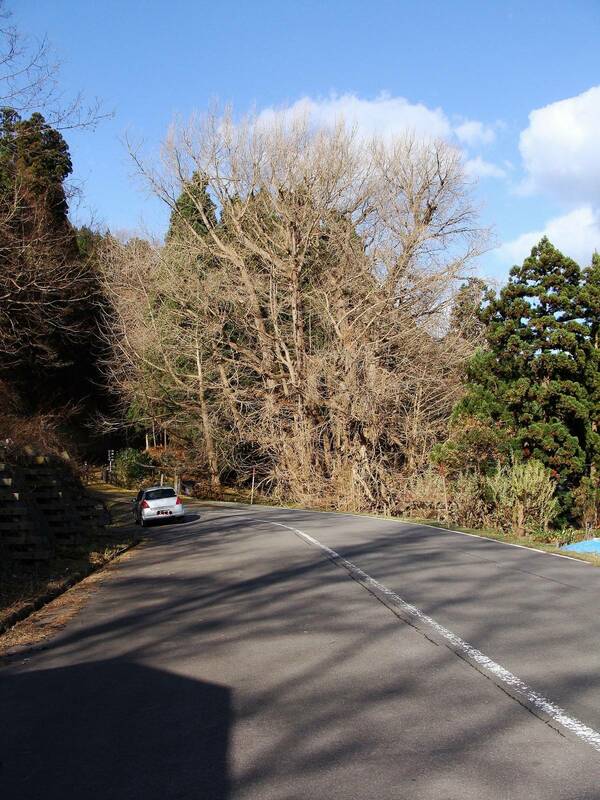 In terms of girth, it is probably the second biggest tree in Japan (after the Kamoh no Ohkusu Camphor tree). It is near Kitakanegasawa Station, in Aomori Prefecture, at the northern end of Honshu. 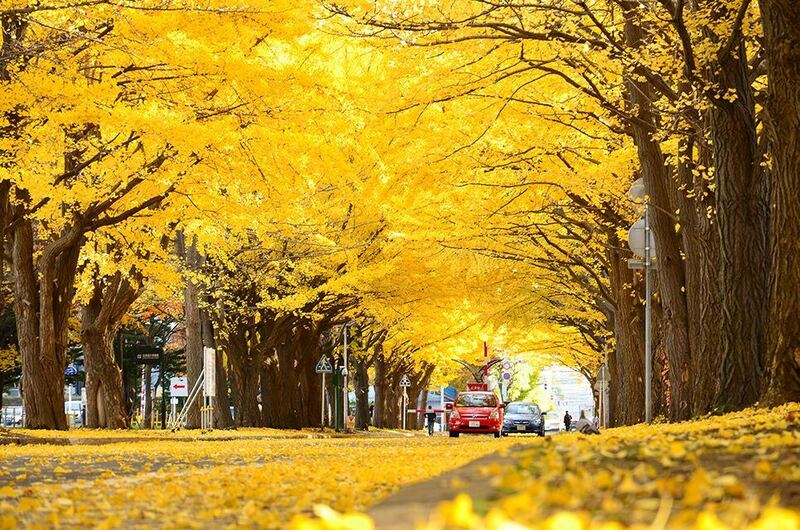 There are Ginkgo trees in a lot of areas of Japan. So it depends a lot on where you want to go otherwise. Since the other answers focus on Tokyo I will just throw some answers for the Kansai area. 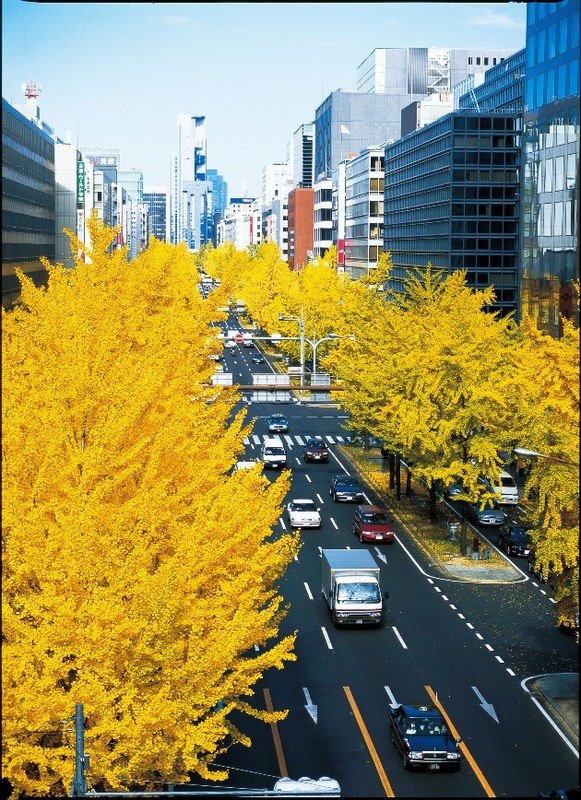 There are many Ginkgo trees lining Midosuji which is the central street going from Namba to Umeda which is a nice stroll. 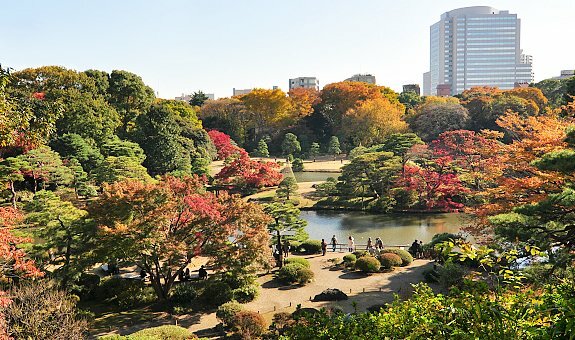 There are also Ginkgo trees as well as many other tree's such as maple in the Osaka castle garden which makes for a nice view. Kyoto: There are many places in the central town and around temples. Such as kiyomizu-dera. Nara park contains a lot of Ginkgo trees as well. 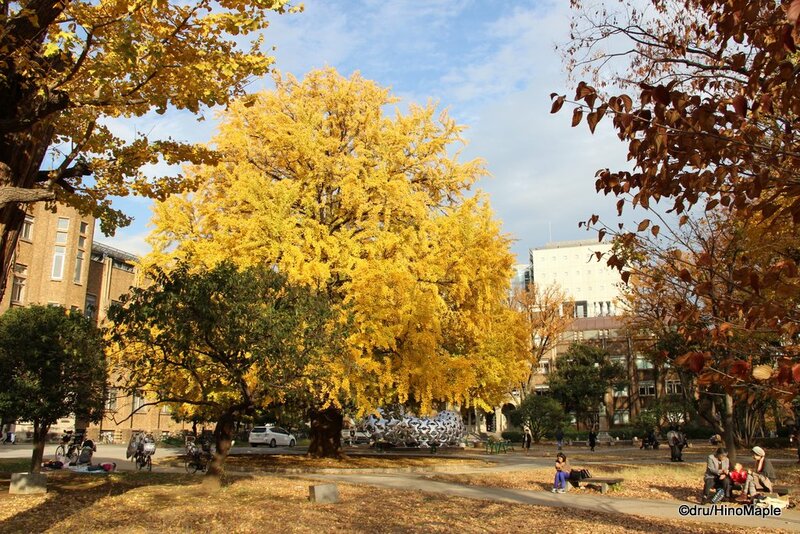 There is also a famous gingko tree in Tokyo in the University of Tokyo (accessible to public). Not the answer you're looking for? Browse other questions tagged japan sightseeing nature-and-wildlife or ask your own question.